The Advanced Energy Economy Institute, AEE’s educational and charitable affiliate, commissioned Analysis Group, a leading research consultancy, to survey California’s advanced energy business leaders on the state of the advanced energy economy. 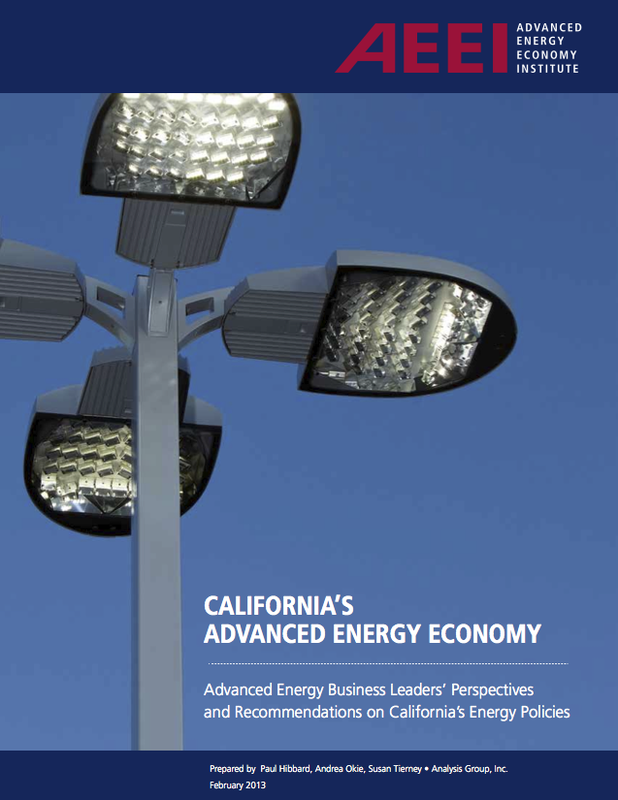 Based on a series of interviews with 30 CEOs and other senior executives of advanced energy companies located in California or doing significant business in the state, the study presents corporate leaders’ perceptions of the state’s energy policies and recommendations for actions to accelerate the growth of an advanced energy economy in California. Overall, advanced energy CEOs believe that California’s energy policies have put the state on the cutting edge of advanced energy development and innovation, but a variety of obstacles are preventing California from fully reaping the economic and environmental benefits of advanced energy. Their recommendations for improving the business climate for advanced energy in California include structural reforms, such as appointing an advanced energy business ombudsman, as well as improvements for specific state legislation including the California Environmental Quality Act (CEQA) and the multi-sector cap on greenhouse gas (GHG) emissions, known as AB 32. Read more about AEE's California Engagment Program here.